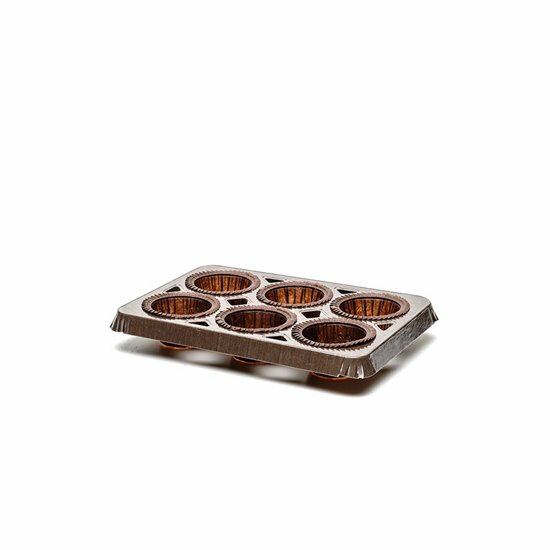 Our NTS series baking cups are made of pure cellulose cardboard with gold floral patterns resistant to baking up to 220°C. 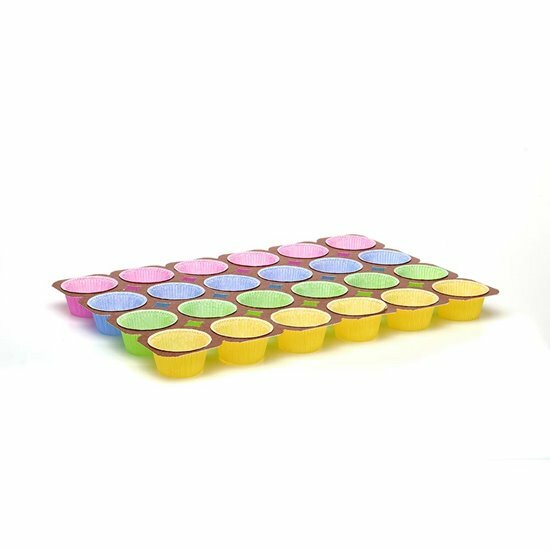 They are also resistant to food fats and do not need to be buttered before use. 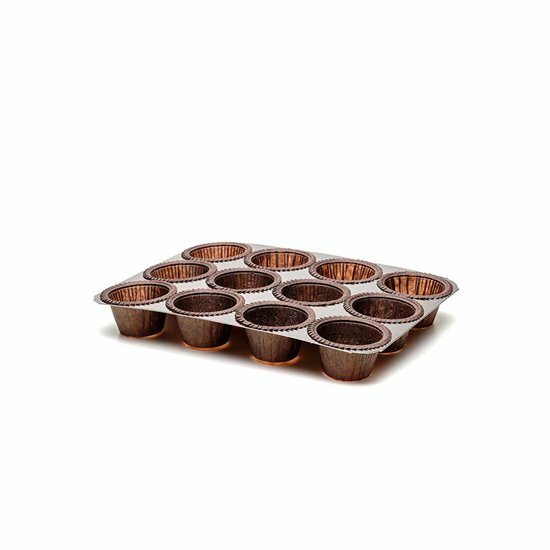 This Novacart patent for muffin cooking requires a lower temperature in the oven and shorter cooking times, so as to achieve an increase in production while saving energy. The NTS cups are ready for distribution. 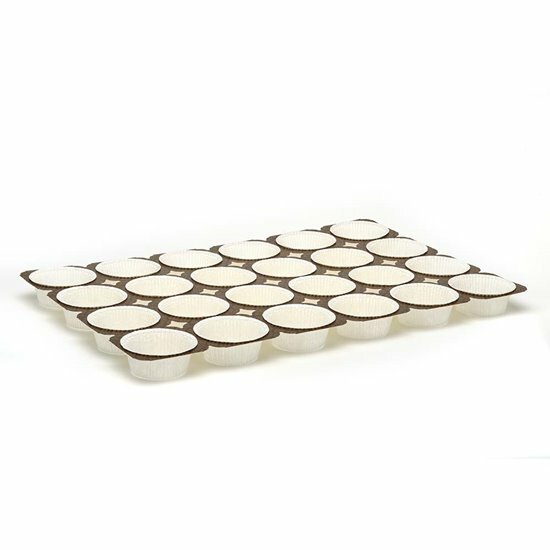 The tray has hatches that allow you to cut the single portion more easily and to pack the product directly.